You can download the QODBC Excel Template, which has a majority of the tables and reports preconfigured. You can copy any Excel workbook into the Templates folder, then you can use the workbook as a template without saving it in the template file format (.xltx or .xltm). In Windows Vista, the Templates folder is usually C:\Users\<your name>\AppData\Roaming\Microsoft\Templates. In Microsoft Windows XP, the Templates folder is usually C:\Documents and Settings\<your name>\Application Data\Microsoft\Templates. 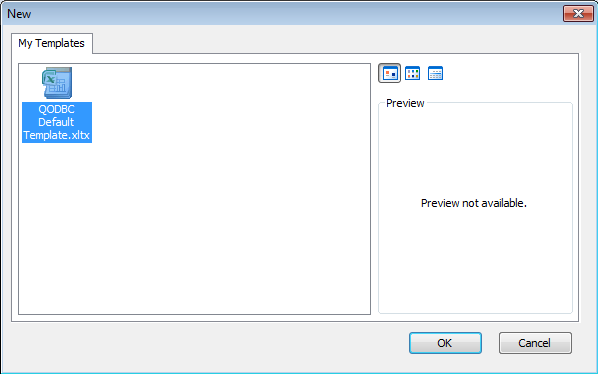 When you start Excel, Please select "My Templates"
Select the "QODBC Default Template" and click. 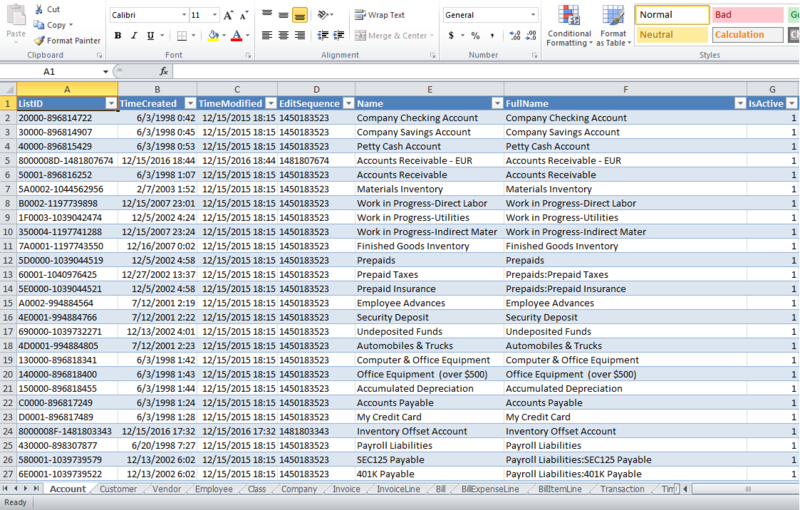 A new Excel workbook will be created and will automatically fetch majority of the tables and report. Please feel free to modify the workbook/queries/reports.